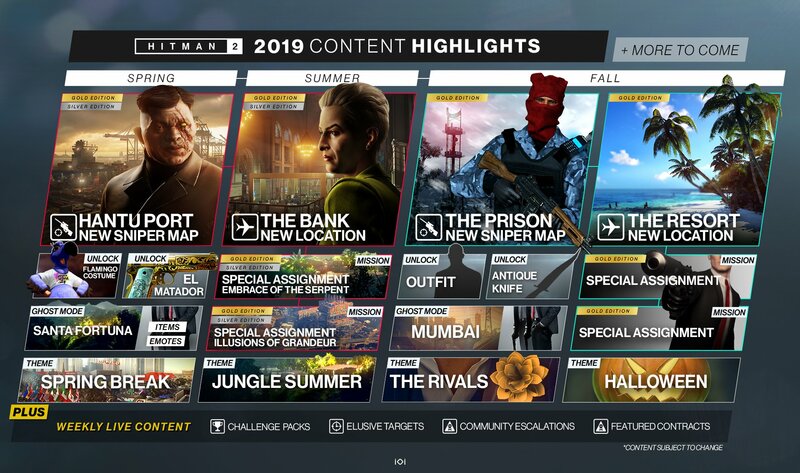 The Hitman 2 2019 roadmap will introduce players to Hantu Port, The Bank, The Prison, and The Resort, among a plethora of other new content. Hitman 2 has big plans for 2019, including four new locations broken down between main Hitman 2 levels and new sniper maps. 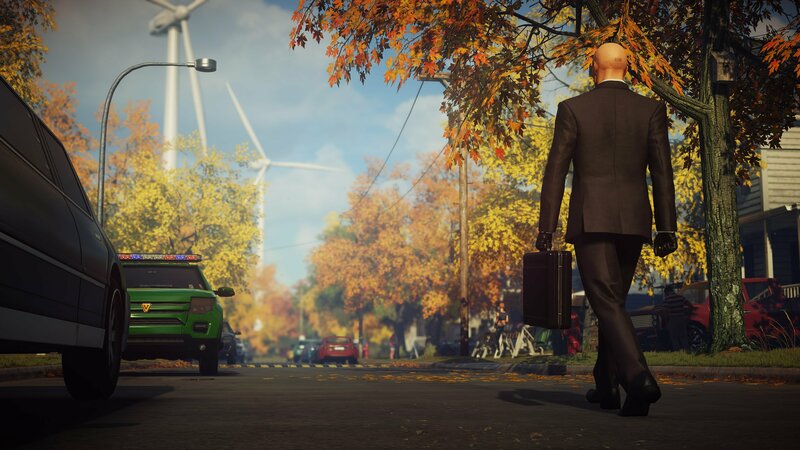 These are in addition to other extensive content plans throughout the spring, summer, and fall, seeing Agent 47 get his lethal hands on new weapons, outfits, and special assignments. The planned content for 2019 is broken down by season and by access. Players can expect updates to the game during spring, summer, and the fall, but some of that content will require the Gold Edition, while other content will be free for anyone who owns the title. While the 2019 roadmap is filled with content, it’s just scratching the surface. Hitman 2 will also get the same live weekly content, elusive targets, challenge packs, community escalations, and featured contracts for those that can’t get enough of the assassination world. Modern-era action gamers have been conditioned to expect large-scale firefights, flashy explosions, and immediate gratification in general, and that's just not what IO Interactive's latest release is about. Through all of the complex machinations and staggering amount of opportunities within its levels, Hitman 2 manages to be a game with one surprisingly simple demand: think things through. As it is in life, perception and consideration go a very long way here, and players who are willing to put in the proper amount of time and effort will see just how perplexing, engaging, and rewarding stealth action games can be. Hitman 2 will undoubtedly serve to define the stealth genre for years to come, and I can't wait to see where IO Interactive takes the series next. Hitman 2 is currently available on the PlayStation 4, Xbox One, and PC through Steam. Players looking for a true stealth experience with frequent content updates would be wise to consider adding it to their collection, as the Hitman 2 2019 roadmap looks to keep Agent 47 busy. YES MORE HITMAN 2 MAPS!!!! "THE BANK" AND "THE RESORT"
as well as two bonus missions in Mumbai and Columbia? !